BlogHome » How to find your purchase code from CodeCanyon or Themeforest ? Click “Downloads” from the drop down menu. 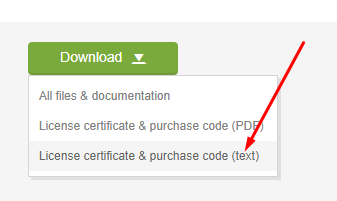 Click “Download” –> “License certificate & purchase code” (available as PDF or text file).